Material: PU leather sponge non-woven fabric suede Weight: 4.5kg. Facing is comfortable wearproof PU leather and filling is elastic sponge. Car Seat Cover. Whole surrounded design protects the seat well, easy to install,practical. Large base in front row and whole surrounded design at side of front seat which has no shifting and slide protect the car seat well. Storage bag is designed for front seat which is practical. Head design is simple; binding is wearproof; EMB process is stylish and elegant. Reserve for air bag outlet,wearproof binding,pillows can relieve fatigue. front row: front seat cushion: 49 54cm backrest height: 63cm. rear row: front seat cushion: 140 49cm backrest height: 59cm. Car Seat Cover. 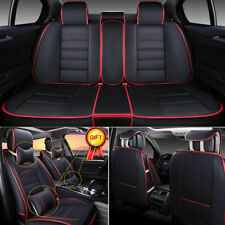 4Pcs 3D Carbon Fiber Black Car Door Sill Scuff Plate Cover Anti Scratch Sticker. Material: PU leather. 2Pcs Car Accessories Bumper Spoiler Rear Lip Angle Splitter Diffuser Protector Y. It’s difficult to keep your car seats in top condition. 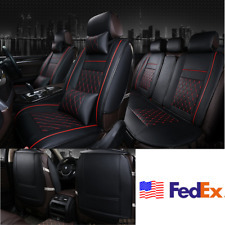 Type: PU Leather Bamboo Charcoal Seat Cover. Material: PU Leather Bamboo Charcoal. Health Protector: Ergonomic waving design with top grade buckwheat hull stuffed inside to promote blood circulation, eliminate fatigue and play a very good ventilation massage function. Car Seat Covers. 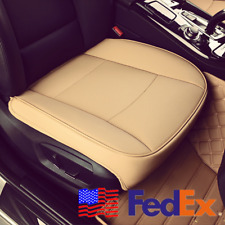 Universal fit: adjustable design to ensure this seat cover fit almost all cars, SUVs, trucks and vans;for both high back and low back seats. Car Steering Wheel Cover. Car Accessories. Material: PU leather, bamboo charcoal (Note bamboo charcoal be a bit hard.). It’s difficult to keep your car seats in top condition. It’s a never ending battle with kids, pets, damaging scuff marks, food stains and drink spills. Material: PU leather sponge non-woven fabric suede Weight: 4.5kg. Head design is simple; binding is wearproof; EMB process is stylish and elegant. Matched with neck pillow and lumbar pillow,it can relieve your fatigue The back is close designed and whole surrounded; it reserves for airbag outlet,beautiful and safe. Front row: front seat cushion: 49 54cm backrest height: 63cm. rear row: front seat cushion: 140 49cm backrest height: 59cm. Car Seat Cover. Whole surrounded,protects original seats perfectly. Car steering Cover. 100% New with High Quality Material: PU Leather. 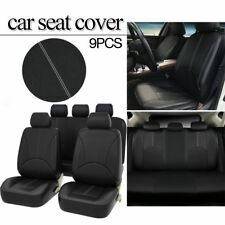 9 pcs seat cover(Left,Right,Front,Rear). Item Choice : Full Seat Cover Set. Compatible Vehicles : Cover Fits all Standard Car Seats. Covers fits all standard car seats. LAND ROVER FREELANDER 1. Models Affected: Land Rover Freelander 1 - 5 Door Model. - Front and rear sets available with headrests and armrests included in the Range Rover and Freelander range. 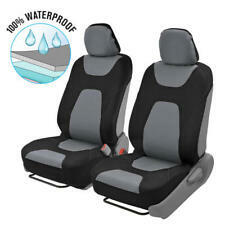 A fantastic way to protect your Land Rover seats with these Britpart waterproof covers. Large base in front row and whole surrounded design at side of front seat which has no shifting and slide protect the car seat well. Storage bag is designed for front seat which is practical. Whole surrounded design protects the seat well, easy to install, practical. 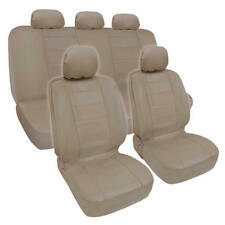 9 pcs seat cover(Left,Right,Front,Rear). Item Choice : Full Seat Cover Set. Material: PU Leather. Covers fits all standard car seats. Compatible Vehicles : Cover Fits all Standard Car Seats. Color: Black. 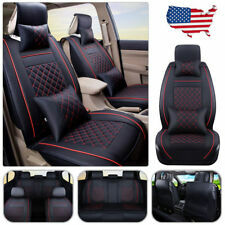 Leather Car Seat Cover BlacK Front Rear Cushion Universal For Honda, BMW. LAND ROVER FREELANDER 1. Models Affected: Land Rover Freelander 1 - 3 Door Model. - Front and rear sets available with headrests and armrests included in the Range Rover and Freelander range. A fantastic way to protect your Land Rover seats with these Britpart waterproof covers. 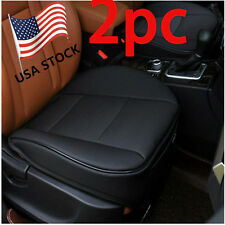 2 x Car Front Seat Cushion. 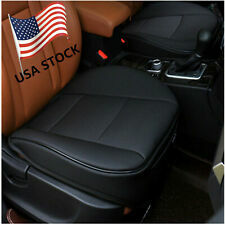 Pair of leather padded car seat cushions. Material: PU Leather. Color: Black. Material: PU leather . It's difficult to keep your car seats in top condition. It's a never ending battle with kids, pets, damaging scuff marks, food stains and drink spills. 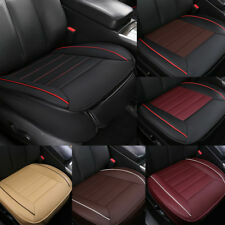 With this Car Seat Cushion you can keep your car's interior in top condition. Material: PU Leather. - The seat have pocket design, lightweight & easy to take. -High-quality leather,dirty and easy to clean. -Leather bag heat-resistant grinding, comfortable and breathable. Color: Black white. Material: PU leather sponge non-woven fabric suede. ----Facing is comfortable wearproof PU leather and filling is elastic sponge. Whole surrounded design protects the seat well, easy to install,practical. 3x rear seat cushion. 2x neck pillow. Car Seat Cover. 2x lumbar pillow. 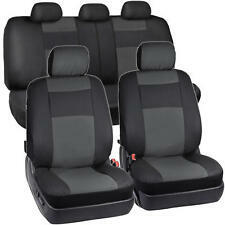 2x rear seat backrest. 2x front seat cover. rear row: length: 122-145cm(adjustable) width: 50cm. Car steering Cover. Facing is comfortable wear proof PU leather and filling is elastic sponge. comfortable and breathable, antibacterial, soft texture, anti-static, no discomfort even a. Whole surrounded design protects the seat well, easy to install, practical. There have bamboo charcoal filling in the cushion,it can be to purify the air inside of the car. Surface material: Sponge PU leather bamboo charcoal. Inner material: sponge bamboo charcoal. 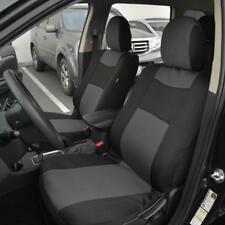 Sponge and bamboo charcoalinside, comfortable like sitting on the couch, enjoy driving.